Here’s something that could’ve gone either way. Despite the quality of the films being pretty frustratingly low, I will always stand by the premise of The Purge franchise as being one of the strongest and most original in the horror genre in recent years. The idea of a night of horrors where all crime is legal has the potential to make some staggeringly good films – but unfortunately, the premise has been squandered on cheap scares and cliché after the first mediocre film. The franchise’s creator, James DeMonaco, decided back in 2017 to take his Purge-iverse to the next level by bringing the story to the small screen. A good idea. A good execution? Hmmm. Taking place over one Purge Night, the series’ pacing is understandably a hell of a lot slower than the films. In an attempt to drag this out, we see the night unfold across three disconnected storylines and three perspectives that seemingly have no connection to one another…or do they? With each episode covering an hour of the night and a lot of quiet moments throughout, we often don’t get the feeling of horror and dread that the films at least tried to deliver by portraying such a quick onslaught of violence and attacks. Here, we have almost 10 hours of content, telling basically the same story that has been told in the first 4 Purge films. The premise is still the USP, and always will be for this franchise. But the writers need to learn to not rest on their laurels – there’s only so far the concept behind The Purge can get you. With such weak acting, poor writing and bland characters, we’ve got nothing to keep us around after our first taste of The Purge on screen. That is the problem with the film’s sequels, and certainly the problem here. There is nothing to sink our teeth into as an audience, which is very important considering how innovative horror can be now when the creatives put in effort – recent films like Ghost Stories, Get Out, A Quiet Place and Hereditary all go to show that there is a hell of a lot of life in the genre, and it isn’t all blood and guts like Saw might lead you to believe. On the whole, this cash-in series feels like one big missed opportunity. While it could’ve been used as a vehicle to right the wrongs of the films, it strengthens their flaws and drags them out into a hot bloated mess. Starting off with promise, the show quickly descends into a predictable exercise in mundanity with dull subplots and unlikeable characters. But I will not lose faith in The Purge yet. I know that somebody can make this premise work on screen, either in the cinema or on television. It just hasn’t happened yet. Until then, The Purge: Season One is a disappointing attempt to develop a promising premise and only serves to remind us that not all ideas work on the small screen. 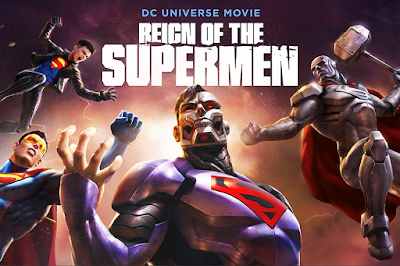 ‘Reign of the Supermen’ is the latest DC animation, which follows on from ‘The Death of Superman’. Taking place 6 months afterwards, the residents of Metropolis have come to accept that Superman is no longer with them but are still contemplating whether or not superheroes are needed in the city. Four new superheroes have appeared out of the blue with the intent of taking off over from Superman – cringe-worthy and prepubescent DNA lovechild clone of Superman and Lex Luthor (Rainn Wilson), Superboy (Cameron Monaghan), the mysterious Cyborg Superman (Jerry O’Connell/Patrick Fabien), the relentless and unforgiving The Eradicator (Charles Halford), and the armoured Steel (Cress Williams). Much of the media are ready to praise the four for looking after their city, but some are sceptical of whether they can be trusted. There’s a lot more to the plot than just this of course, as an imminent threat looms over the city and the real Superman isn’t there to sort it out. Both Lois Lane (Rebecca Romijn) and Wonder Woman (Rosario Dawson) get together to suss out what’s going on with the emergence of the new superheroes, and the Justice League struggle to keep the city safe. Superboy struggles with his identity after discovering that he is a clone, and Lex Luthor even begins to redeem himself slightly. It’s all too much for 90 minutes though which is a shame – the storylines are all interesting and developed as well as they can be within such a short space of time, but they really do need more of it to flourish. The directors really seem to have gone for quantity over quality here, and it means that precious character-building scenes such as when Lois Lane and Wonder Woman bond over their love interest-relationships with Superman are few and far between, with fast-paced action taking precedence. It still does a better job than ‘The Death of Superman’ though and is fairly accurate to the comic apart from the end, which is changed presumably to match up with everything else that’s going on within the universe. The animation is good, but not incredible, and the action scenes are exciting to watch and quite slick. Sometimes action scenes in animation feel repetitive and predictable but I didn’t get this from ‘Reign of the Supermen’. There’s also some interesting exploration of vigilantism, questioning whether vigilantes can really be trusted, and the negative aspect of following the crowd and blindly following others. “Be your own superhero” is the message that’s ricocheted between characters, which is empowering in a sense and reminds us not to rely so heavily on others like the residents of Metropolis have come to do. 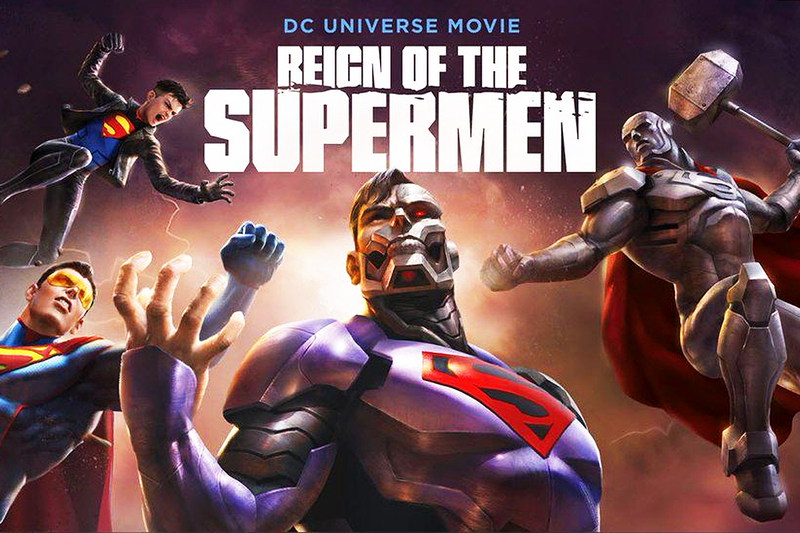 It’s understandable if you’re not 100% happy with ‘Reign of the Supermen’, especially if you’re a comic book fan – it left me feeling like I’d watched a featurette of the story, without being given the opportunity to really scratch beneath the surface. The backstory isn’t really explored which is a real downfall and some characters feel unnecessary, but what is shown to the viewer is exciting and gripping as a storyline, even if it’s not as emotionally charged as it should have been. The third film in the franchise, ‘Johnny English Strikes Again’ is now out on DVD and Blu-Ray. Johnny English (Rowan Atkinson) isn’t a secret agent anymore, now spending his days as a Geography teacher at a private school, mostly teaching the kids Geography but also teaching them survival skills off the record. This all has to be put on hold as he gets called back into MI7 – the UK is under threat from hackers causing absolute chaos round the country, and the identities of all secret agents have been made public. The Prime Minister (Emma Thompson) needs to pull someone out of retirement who won’t be known, so hires English, along with former sidekick Bough (Ben Miller), to find out who the hackers are and put a stop to them. Meanwhile, she gets to work with upping security by hiring American tech guru and billionaire Jason Volta (Jake Lacy) to solve all of Britain’s problems. It’s an interesting storyline and a good opportunity for us in the UK to laugh at ourselves and our incompetency (Thompson’s role was somewhat echoing of Theresa May and the whole Brexit palaver), though it certainly had more potential than what we get – it’s funny in parts, and shows a generous amount of slapstick like the previous films, but this time it’s not quite so clever, and there aren’t so many laughs to go round. I chuckled quite a few times at the various scenes that played out, though there was only one that really made me laugh out loud, and if that scene hadn’t been included I wouldn’t have felt anywhere near as positive about the film in general (it’s the VR scene, in case you were wondering). It’s no fault of Atkinson or Miller, who have great chemistry and try their best, but they just aren’t utilised like they could be – unlike Atkinson’s Bean persona, Johnny English isn’t given as much to work with. The other actors are all good as well – Lacy especially as the sinister Volta who will most likely remind you of a certain public figure – but the predictable storyline detracts from this. It felt to me like it’s aimed at a slightly different audience this time round, focusing on younger viewers but forgetting to add a more adult layer to keep all viewers happy. I think that the franchise needs to either put the lid on the box or come up with something new – since the very first ‘Johnny English’ movie, the joke has always been centred around English being a vastly incompetent character (with no idea that he is) who someone always manages to win a situation through pure luck. It does work but it gets old after a while, and I think the audience needs something a bit different. The film was inventive enough in its scenarios, but the repetitiveness of that one gag made it feel like we were watching the same scene again and again, just in different environments. It’s good for fans of slapstick comedy and offers a few laughs, but for those wanting something a bit more from a comedy film, ‘Johnny English Strikes Again’ might not be what you’re looking for. So Eli Roth directed a family movie. Yes, that’s Eli ‘I directed Hostel’ Roth. Who would have expected that? Not me, that’s for sure. I’d actually been quite excited for this film to be released ever since I saw the first trailer; it struck me (pun genuinely unintended) as a steampunk-tinged Goosebumps-style romp, so I was on board right from the start. The House with a Clock In Its Walls, based on a book of the same name released in the seventies, follows the story of Lewis (Owen Vaccaro), an orphaned child who moves in with his uncle, Jonathan (Jack Black) into his immense gothic mansion. It’s not long before Lewis realises something is amiss and discovers that Jonathan, along with his neighbour Florence (Cate Blanchett), are both magic users and that there is a clock built into the house’s walls that are steadily ticking down to something. It turns out that the house’s previous owners - a powerful yet sinister warlock and his wife (Kyle MacLachlan and Renee Elise Goldsberry, respectively) installed the clock for some nefarious purpose, so it’s up to Lewis and his guardians to discover what is going on before the clock chimes its last. As hinted at earlier, it’s hard not to draw similarities between this and Rob Letterman’s Goosebumps adaptation; both are aimed at slightly older kids, both feature a moderate amount of child-friendly spook...and of course, both feature Jack Black. But that’s really where the similarities end. 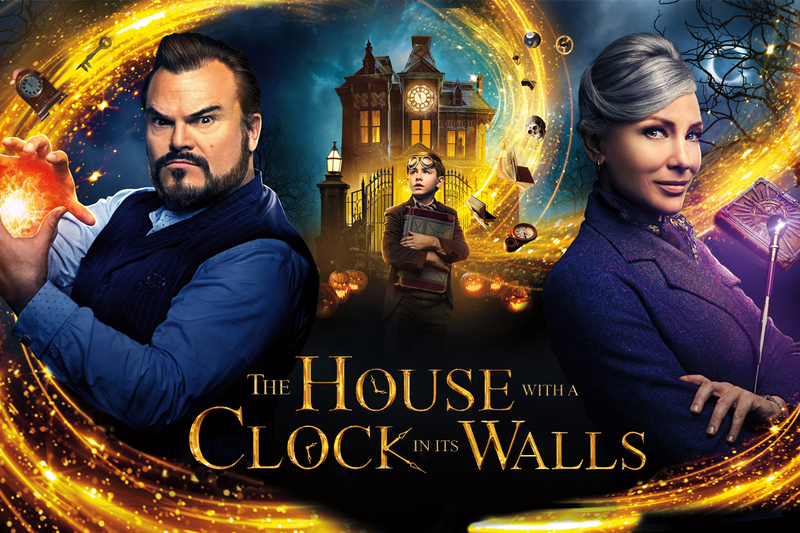 The House with a Clock in Its Walls seems a lot more grounded in its narrative; whereas Goosebumps delighted in ramping up the scale of the chaos, The House With a Clock In Its Walls is a far more small-scale, insular affair...which is quite a surprise, considering how...excessive Eli Roth’s movies tend to be. Jack Black is, of course, Jack Black...but it’s an interesting decision to throw Cate Blanchett into the mix; there’s an amusing back-and-forth between the two, who bicker like an old married couple. They’re definitely fun to watch, and it’s interesting seeing what Jack Black can do with another character, almost equally as zany, to work off as opposed to rehashing his usual ‘wacky loner’ role. It’s a real shame because the pieces are all there. Magic. Gothic mansions. Steampunk. A room of creepy automata. Blanchett. Black. MacLachlan. But something is just missing. There are some interesting nods to real-world fears, with hints to the effect World War II had on America, but the movie never quite clicks into place as much as I’d like. Ultimately, The House with a Clock In Its Walls is a fun movie, but ironically enough lacks the magic to cement it as a family movie that will last the ages. It’s a shame; had it been released ten or fifteen years ago it would have seemed new and exciting, but with the film world already thoroughly acquainted with Goosebumps and Harry Potter and Lemony Snicket, it just quite doesn’t hold up. There’s a lot of politics going on in the world at the moment, and much of it seems to be centralised in America. 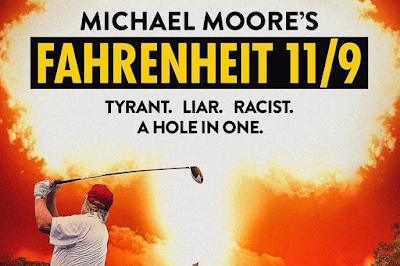 Following on from his previous documentary, ‘Fahrenheit 9/11’, in which he investigates the reasons for America becoming involved in Iraq and Afghanistan, Michael Moore now presents us with ‘Fahrenheit 11/9’, an interesting look into the current political situation of America, focusing particularly on Trump’s way into power, the Flint, Michigan, water crisis that’s still ongoing, and the rise in progressiveness within the American youth, following the numbers of school shootings that happen across the country. Having seen previous documentaries by Moore, I made sure to keep an open mind with this one – if you’ve watched his stuff before then you’ll know that, although he is a great journalist, he’s very subjective in the ways he presents his findings. Much of the focus of this particular documentary is very personal for Moore, having been raised in Flint, and so it’s both emotional and evocative. The situation out there is worse than I thought, with him highlighting the probable long-term damage caused to the residents (including 10,000 children) and not holding back at all in his attack on both Snyder and Obama – Snyder who caused the whole problem in the first place, and Obama who did nothing to rectify it. This particular part was shocking as I didn’t even know about the speech Obama gave to Flint, and it certainly lowered my opinion of him. Some of the scenes shown were actually quite distressing, in particular, videos taken during school shootings, and content that had been shot during the missile threat false alarm in Hawaii. It’s easy to gain a certain filter for world events like these, and brush them off like any other piece of news, but Moore brings back the realism and the gravity of each situation through thought-provoking filmmaking and sometimes disturbing footage to back up his points. He also uses humour to balance it out, which is done well. The problem I had with it was that some of it feels a bit like propaganda in the way it’s filmed – a comparison of Trump and Hitler is explored, accompanied by a Trump speech dubbed onto scenes of Hitler. Although entertaining, it comes across as a bit far-fetched (despite being perfectly valid when you think about it), and scenes insinuating 9/11 as similar to the burning of the Reichstag lost a bit of its credibility for me as it didn’t feel justified or explained like other parts to the documentary. Despite this though, Moore did a surprisingly good job of attacking both the Republicans and Democrats and even blames for Democrats for the Republicans’ success. It would have been nice to have seen a more balanced view of the current progressiveness rising within the country, which is displayed as a way to save America without looking at any of its flaws (I say this as someone who is much more on the progressive side – I appreciate full balance when I’m watching a documentary on such a topic). I guess that’s what makes a Michael Moore documentary through – the raw passion that they exude certainly does lead to bias, but it all comes from the heart, rather than just analysing statistics. It also ended positively, using grassroots activism to show that maybe it isn’t the end of America – maybe it can be saved after all. For anyone interested in global or American politics then this is certainly one to watch – even if you don’t agree with Moore’s views, it’s still an eye-opening and captivating look into one of the largest countries in the world. For most gamers, it’s a case of too little, too late. 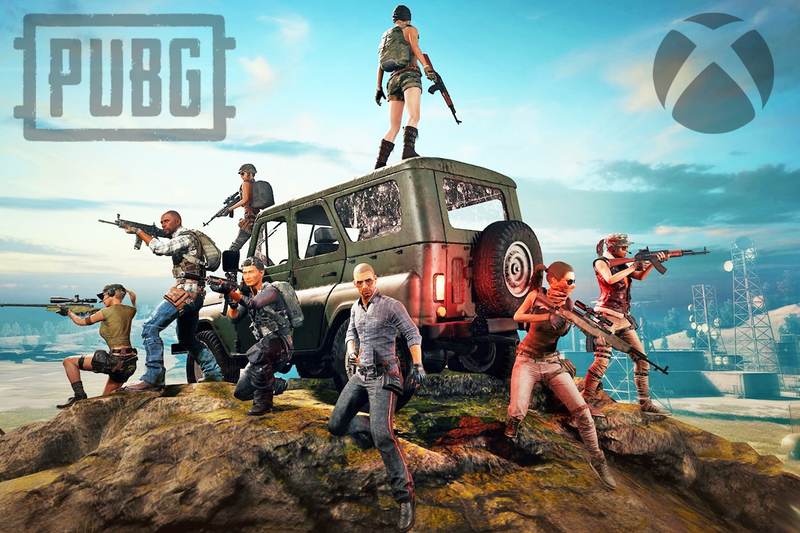 While PUBG didn’t invent the ‘battle royale’ game mode, it definitely helped to popularise it over the past year. Fortnite capitalized with mainstream appeal and ever-increasing monetization, but the alternative was an interesting Xbox exclusive that did a lot of things well. When it worked, gunfights lead to heart-pounding encounters where you dash for cover or hit the deck, hurriedly scanning the area for any assailants hiding in the bushes or surrounding buildings. It’s not realistic, but it’s far removed from the fantasy of Fortnite, or the familiar mechanics of the latest Call of Duty game. PUBG finally limped out of the ‘early access’ Xbox Game Preview program in September 2018, masquerading as a finished product despite a range of lingering issues. The performance was the most frequent problem, with choppy servers and textures still loading in long after the player first hit the ground. When Microsoft’s deal to keep it on Xbox and PC ran out it was finally time for a PS4 port, so that’s where we are now. The problem is, timed exclusivity can sometimes be a double-edged sword, and it’s probably true for PUBG on the PS4. Much of the hype has died down despite the addition of new maps and constantly reworked systems, despite being a clear improvement compared to the buggy mess that was first released on the Xbox One. Even on a shiny Xbox One X, the game was embarrassingly bad at times, but constant improvements have led to a slightly more polished product on the PS4. With that being said, the PS4 PUBG port is serviceable at best, and it was never going to be as good as the PC version. Digital Foundry has conducted extensive tests, and their reports confirm what you can tell from looks alone. If you have a PS4 Pro, you’ll have a decent experience, but it’ll be terrible if you’re using an older console. The optimization has never been a strong point despite numerous patches during the early access phase, and it still judders while you’re waiting to jump off the plane, or while parachuting, and sometimes even while you’re on the ground. Despite the many problems, there’s no denying that there’s fun to be had with friends while playing PUBG. It’s unforgiving during the early stages, but there’s nothing better than frantically punching your first opponent to death wearing nothing but a dirty vest and a questionable mullet. You’ll have a more enjoyable experience if you have a PS4 Pro/Xbox One X, but it’s still decent as long as you know what you’re letting yourself in for. It’s slightly lacklustre given the time it’s taken to arrive on Sony consoles in the first place, and the sheer amount of monetization and cosmetic options would make an MLM CEO blush. It’s not a problem if you have good impulse control, but it’s embarrassing when you factor in the asking price, as well as the many issues that haven’t been completely fixed since PUBG’s time in Early Access. If you’ve been waiting to see what all the fuss was about, you can do worse than PUBG on the PS4. It’s never going to be the most refined experience, but it’s nowhere near as bad as most critics would have you believe. 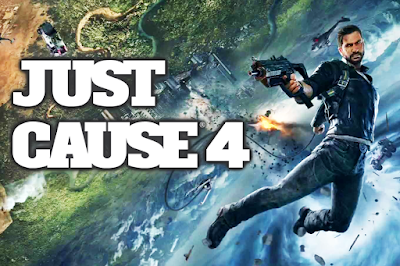 Just Cause 4 is the latest open world game from Square Enix, a series that has been known for its over-the-top hilarity and action-packed fun. Rico Rodriguez cannot seem to stop himself from getting tangled up in resistance movements, this time around fighting against the latest group of enemies, The Black Hand. There’s not really anything new story-wise, with a very similar structure to other games in the series – instead, the developers have focused more on the gameplay that we all know and love, and the performance of the game that has greatly increased since the last one. At its core, Just Cause 4 is very iterative in terms of gameplay and, if you played 3, you’ll know exactly what to expect. Rico still has wingsuit to fly around and his trusty grappling hook that provides some great fun, from grappling people together to tethering them to explosive canisters which lead to a rather exciting end for them. Of course this can become slightly dull over the course of the game if you have played the previous entries, however, there are some new weather systems that have been added, such as tornadoes and lightning storms, which certainly liven it up a bit. I’ve found the tornadoes to be the most entertaining due to some adrenaline-inducing flight sequences (unfortunately ending up in my demise most of the time), but it does add something a combat system that is becoming slightly stale otherwise. There’s one other new feature as well, which is that you can now modify your grappling hook with features such as the grapple balloon (straight out of ‘Metal Gear Solid’) which can lift objects up in the environment, and these can be switched between on the fly. As mentioned before, performance has now improved, stepping away from the insufferable frame rate issues of ‘Just Cause 3’. You can tell that a lot of effort has been put into improving this as I’ve experienced a little issue with it and thankfully not much has had to be sacrificed, which is surprising given the map size and detail within the game. The graphics are stunning, especially the beautiful vistas that we can view from a height. I’d say this is more of a ‘Just Cause 3.5’ than a ‘Just Cause 4’, an issue I’ve seen in a few games like Call of Duty and FIFA where they are more iterative than innovative. Even with the additions described, it doesn’t quite make enough meaningful changes to distinguish itself from the others within the series, leading to the gameplay and storyline feeling too familiar at points. 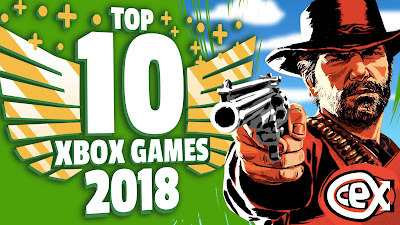 Although it’s still fun for the first 20 hours or so, what I really want to see from the next one is something different – it does what it does well, but its repetitive nature is the one thing really holding it back. Nothing works better than reselling nostalgia. Nintendo has been coasting off this method since they released a follow-up console to the NES and resold everyone the same Mario games they already owned. It makes sense that this would still be happening in today's market, only now it's not just Nintendo reselling childhood memories (and Wii U ports on the Switch). After Crash N.sane Trilogy sold n'sanely well, rumours flew about that Insomniac's beloved 90's mascot was also in the reworks and it didn't take long for this to be confirmed. Toys for Bob have done an amazing job rebuilding Insomniac's twenty year old game, from scratch, and painstakingly paid attention to the way Spyro controls and feels as he runs and glides his way around the graphically updated and reimagined World of Dragons, whilst still sticking extremely close to the games original design aesthetics. A few of the "improvements" have also hindered a few of the gameplay elements. Fields are no longer simply large, flat green areas. The power of today's consoles allows for foliage to cover just about everything, grass makes up for a large part of all of the game's level design and can inconveniently obstruct gems. In the OG Spyro, this was compensated for by allowing the player to see a gem sparkle, no matter how far away it was on the map. This hint has been toned down making it easy to pass one by without knowing. A couple other things haven't carried over quite so well, in the rebuild, such as gems that would have been automatically collected as you dashed through enemies are now being randomly scattered and Sparx’s smaller area of detection for these things can be mildly annoying. You'll often find yourself combing back through a level to find the last couple of gems that you've passed unknowingly. Loading times are also far slower than they were 20 years ago, on the PlayStation. Presumably because of the larger amount of data needed. Throughout all three games, enemy types don't really vary all that much, other than by physical design. Once you've sussed out which enemies need to be rushed and which are to set on fire the only real threat to dying is going to be if (and when) you take a jump at the wrong height. This *is* a game aimed at kids, though... not a remake of Contra. During the first game, Spyro is lumped with the task of saving all the adult dragons, all of whom have been turned to crystalline statues, by Gnasty Gnorc. Might just be me but for some reason, they all seem secretive about what's going down like they all know they actually deserved it but don't want to tell you why. Each completely redesigned dragon you rescue will give you a gameplay hint. Most of which you will have already worked out already, either by experimentation or just because it was already painfully obvious. This becomes worse during the sequels when side characters are explaining very simple gameplay mechanics to you for the fifth time. Spyro 2, previously known as "Gateway to Glimmer" in the UK, finally gets its international title, Ripto's Rage. Generally considered to be the better of the trilogy, Ripto starts with a massively convenient coincidence which brings Spyro to save the land of Avalar, when all he really wanted was a holiday in Dragon Shores. Ripto's Rage has far more cutscenes than the first game. Including one for each time you first enter a new level and another for when you leave. These felt like they broke the flow of gameplay a lot more than during the first game and Spyro 3 fairs no better in this regard. Collecting Orbs replaces saving the dragons, which never feels quite as important but I guess saving all the dragon's again would be kind of stupid. Spyro can learn a few new moves and has also learnt how to not drown in water. This also (sadly) means underwater levels with questionable controls. Unlike the first game, most levels aren't 100% finishable on a first-time visit. Areas of stages are often hidden away by certain moves that you will need to learn before gaining access. This adds a reason to revisit earlier levels, for that 100%. The third game takes this a step further and segregates more sections of levels for all manner of reasons, adding to the number of times you'll revisit a level. 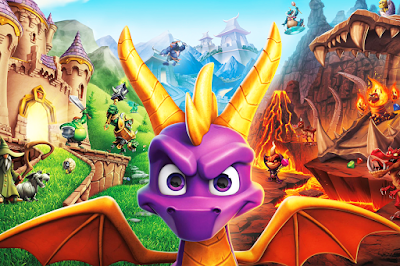 The third game in the trilogy, Year of the Dragon, has Spyro once again saving Dragons. Only this time its baby ones that were kidnapped by a Rabbit mage with Stockholm syndrome. Unlike the first game where each Dragon was individually designed, the baby dragons are lazy duplicates. This game was originally thrown together in under a year and it sort of shows. Most of the annoying side characters from Ripto make a return / get reused. Plus a few new friends with their own levels that are initially locked away until you save them. Insomniac threw every idea they had into this one with more mini-games than ever, including terrible skateboarding sections. I wouldn't normally mention day one patch sizes, in a review, as they're now just to be expected. In this case, it's rather unique and relevant if you're buying the Spyro Trilogy for someone with slow, limited or no Internet access. On the disc, Spyro comes in at 31gb, plus a mandatory 19gb download if you want to play the other two of the three, games you've just "bought"; plus an additional 16gb of mystery data (35gb download total). Only one full game is on the disc and the remainder were incomplete before the disc's were pressed. This is a practice I hope not to see very often. In years to come, when PSN is offline, no-one will have access to them and only shows a company trying to get a product out the door before it's fully complete and hoping no one will question them. I think personally the first Spyro is still my favourite of the trilogy. There's something calming about it's simple and very methodically worked out game design that still makes it fun to play, regardless of polygon count. Seth Macfarlane’s take on Star Trek is sometimes more faithful than the real thing. It’s a great premise on paper, and the show works well despite a few flaws that are easily pushed to the side if you’re a fan of the genre. Having watched The Orville and Star Trek: Discovery in tandem, it was difficult to tell which paid more attention when replicating the original series. The former relies on comedy and sci-fi tropes, while the latter is more of a modern take on the series as a whole. 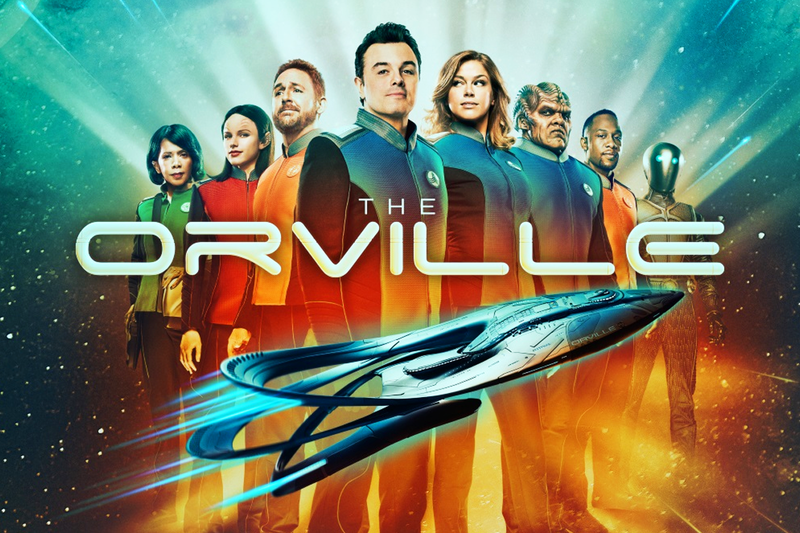 The “Next Generation” era is widely seen as the best of the bunch, and The Orville stays true to form by focusing on the exploits of the man in charge. Macfarlane’s Captain Mercer is set to take command of his first vessel, although he’s not entirely sure why he was selected in the first place. The Planetary Union is under threat of war, and his ship is designed as an exploration vessel first and foremost. Problems on the titular ship soon arise when his ex-wife Kelly Grayson (Adrianne Palicki) is assigned as his first officer, with the situation made worse because of their acrimonious breakup. Mercer decides to enlist the help of his best friend Lt. Gordon Malloy (Scott Grimes) to fly the ship and keep him sane, while getting to know the various species that make up his crew. Despite being a comedy vehicle first and foremost, there’s a strong emphasis on sci-fi and exploration, with aliens that often wouldn’t look out of place on a B-movie set. It looks a lot better than your average Sci-Fi special, and the sets are also worth discussing in-depth. The bridge is bright and clean, and it’s obvious that a lot of time and attention was paid to ensure that nothing looks cheap or out of place. Each of the alien crewmen has their own foibles that take a while to get used to. There’s the Xelayan chief of security Lieutenant Alara Kitan (Halston Sage) who hides ridiculous strength in a tiny package, or a science and engineering officer who happens to be a non-biological lifeform that views humans as a vastly inferior species. While similar in some respects, The Orville does take steps to ask different questions than TNG. Like what if Data hated humans? Or, how does a ship of flawed individuals manage to function in comparison to the best and brightest in the galaxy? Moral dilemmas abound for the hapless captain and his inept crew, and they do slowly begin to learn from their experiences as the season progresses. For all his bluster and awkwardness, Mercer is a good captain who wants the best for his crew and gets the job done despite their obvious limitations. Luckily, Mercer manages to snag Chief Medical Officer Claire Finn (Penny Johnson Jerald) for the team, and she’s always on hand to give advice to her fledgeling captain. (While spurning the constant advances of an anthropomorphic blob that refuses to get the message.) Macfarlane can’t help but play himself, leading to obvious comparisons to his previous work. He tells jokes knowingly, and there’s a notable lack of sincerity at times, despite his effort. He doesn’t stop to wink at the camera, but if you’ve seen him in A Million Ways to Die in the West, you’ll know what to expect in terms of performance. Unlike the majority of his back catalog, you’ll be hard-pressed to find much mainstream attention for The Orville. Nonetheless, it’s a fun show that is sure to improve in future, with season two on the horizon in January 2019. We’re now onto the sixth film in the ‘Mission Impossible’ franchise, a series of films that do what many others don’t, by continuously being great without becoming stale and repetitive. Tom Cruise is back again as Ethan Hunt, in ‘Mission Impossible: Fallout’, carrying on the plot of ‘Mission Impossible: Rogue Nation’. ‘Rogue Nation’, where Hunt tries to prove the existence of The Syndicate to the CIA, ends with supreme leader Solomon Lane (Sean Harris) being taken into custody. Now Lane features again (albeit now in prison) as Hunt, IMF agent, tries to stop the sale of three deadly plutonium cores to the Apostles, another terrorist group made up of the Syndicate remains, which will be used as weapons. Unfortunately for Hunt, he is made to join forces with Agent Walker (Henry Cavill), a Special Operatives Division operative, after choosing to save fellow teammate Luther (Ving Rhames) over nabbing the plutonium in a previous mission. From the very start, the film is fast-paced and action-packed. It’s an action film, of course, but I do find they can start to get repetitive once in a while, with their obligatory car chases and running over rooftop scenes that the writers can’t seem to avoid (I blame the ‘Bourne’ franchise). ‘Mission Impossible: Fallout’ does actually contain both of these and more, but does them in an exciting way that doesn’t feel like a repeat of all those before them, and even adds a high octane helicopter chase in the second half that’s so tense at points I found myself gripping the sofa. The stunts are excellent as well, which we’ve all come to expect by now for any film with Tom Cruise in. What I can’t understand is how they always manage to one-up the previous film with something even more insane than before – I thought they couldn’t possibly beat the bike chase and the opera scene from ‘Rogue Nation’, yet somehow the film team does. There are some good fight scenes too, from a music-less struggle in a public bathroom to a gripping display at the very climax of the film as time is running out. Aside from the action, the plot is also pretty good – predictable in the first half, but complex and interesting enough in the second half to make up for it – and it’s well paced throughout. Acting shines again, with Simon Pegg providing some hilarious lines again as (Benji Dunn), and great chemistry between the team. Cavill adds a different dynamic as well, forcing Ethan to cooperate with someone he really doesn’t gel with. 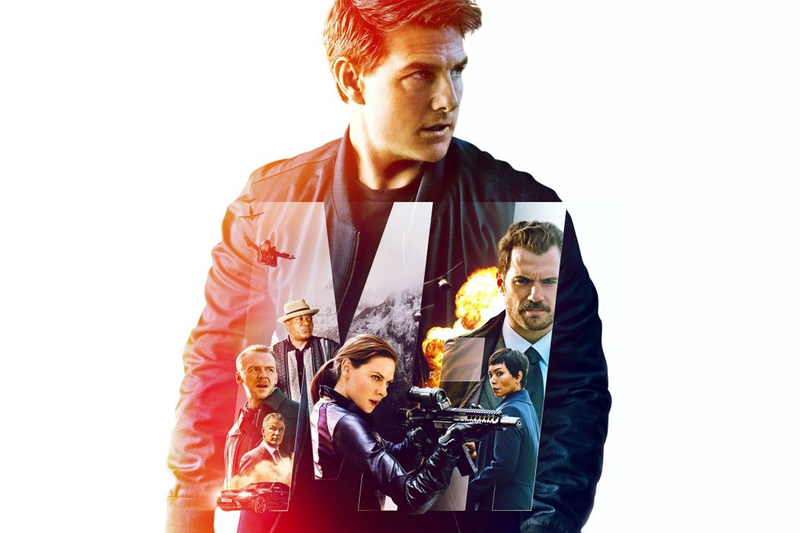 You have to give the ‘Mission Impossible’ franchise a bit of leeway when it comes to realism, but the far-fetched plots are one of the elements that makes it so exciting (and the whole point is that the missions are perceived as impossible, of course). I’d say that ‘Mission Impossible: Fallout’ is one of my favourites in the franchise now though – it’s full of energy, and without a single dull moment in the entire film. It’s headed in a slightly different direction than normal, but both fans of the older films and newcomers will appreciate what really is a well-directed and entertaining instalment. Venom is the latest film in the Marvel Universe, although this time around he’s got nothing to do with Spiderman. 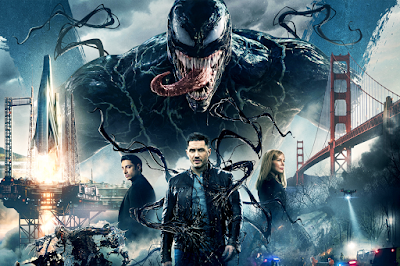 Eddie Brock (Tom Hardy) is a journalist for the people – he uncovers lies and goes out of his way to help those disadvantaged by the people at the top. His desire for justice gets the better of him when he interviews Carlton Drake (Riz Ahmed), CEO of ‘Life Corporation’ – a man whose goal is to advance humanity, though at a cost. His idea is to merge humans with so-called ‘symbiotes’, alien life forms and is doing extensive, harmful testing on people. However, Brock has no proof. Brock’s accusations lead him to lose his career, his home, and his fianceé, Anne Weying (Michelle Williams) who also loses her job in the process and decides it’s best for them to distance themselves. Once Brock starts looking into Drake again is when he finally ‘meets’ Venom, and once the two have merged, things become very different. You’re looking at a pretty standard plot here, rather than the complex, multi-faceted stories that Marvel have brought out as of late. With it pretty much being the people vs. the corporation with one main villain, Drake. There’s no complicated history to get your head around and no mind-boggling twists, but rather a fairly linear plot that starts off with about 30 minutes of backstory before speeding headfirst into unrelenting and fast-paced action that just doesn’t give in. It’s frantic, energetic, and full of chases and fights that will keep your eyes glued to the screen. Usually, I lean towards films that are more for the thinkers of the audience, but the action here was so well done that I rather enjoyed it. What helped was that everything else was done simplistically, but well. The CGI was excellent, in particular for Venom and, although most of the performances didn’t exceed expectations, acting was good and Hardy really got into the role of Brock/Venom, which was evident during some particularly weird and memorable scenes. The humour was good, although sometimes a bit tame, and was balanced well with the action. There wasn’t a whole lot of emotion in the film – the relationship ending was sad of course and we were obviously rooting for humanity – but actually, that made a nice change from other films I’ve watched recently that ended with either fought-back tears or too much investment from my whirlwind mind. After watching the film, I was quite shocked when I had a look online to see what the critics had said… “rushed”, “absolute disappointment”, “riddled with the poison of dullness”, to name a few. From my perspective, I’d spent two hours of fun watching a movie to come away feeling energised and like I’d had a good time. Which made me consider something… As an audience, are we perhaps being a little bit too binary in our opinions of superhero movies (and other genres)? Since films like ‘Avengers: Infinity War’ have come out our concept of cinema seems to have changed – if it isn’t two and a half hours of breath-taking CGI, phenomenal acting, and a fully engrossing plot riddled with complexities and room for fan theories then it just isn’t good. I think we’ve set the bar too high, meaning simple yet entertaining movies such as this one get scathing reviews online and people just seem to miss the point. If you need the next ‘Avengers: Infinity War’ in your life and won’t settle for anything less, then no, maybe ‘Venom’ isn’t for you. But if you like action, comedy, and something that’s a bit easier to digest, then it’s definitely worth watching. Check out our TOP 10 Xbox One games of 2018! 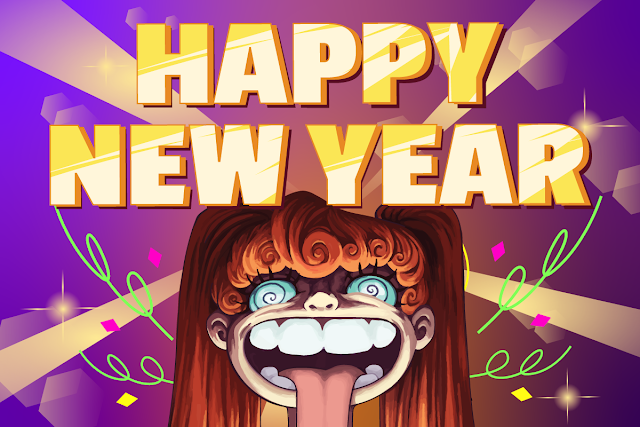 Check out the latest and greatest 2018 had to offer, brought to you by Lewis! 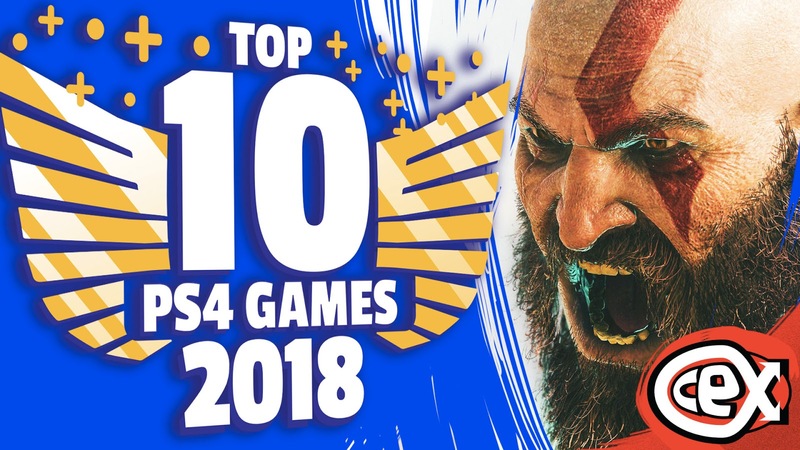 Check out our TOP 10 PlayStation 4 games of 2018! Check out the latest and greatest 2018 had to offer, brought to you by Jake! 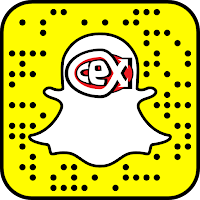 Sell Your Faulty Phones at CeX! 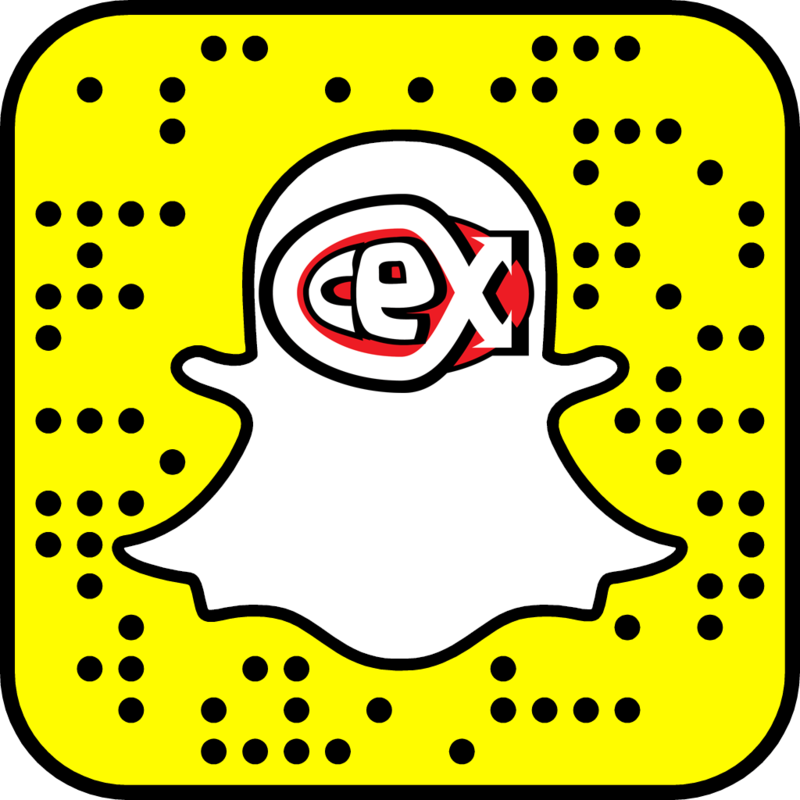 Turn faulty phones into cash at CeX! Please note we only buy faulty phones, we don't sell them. 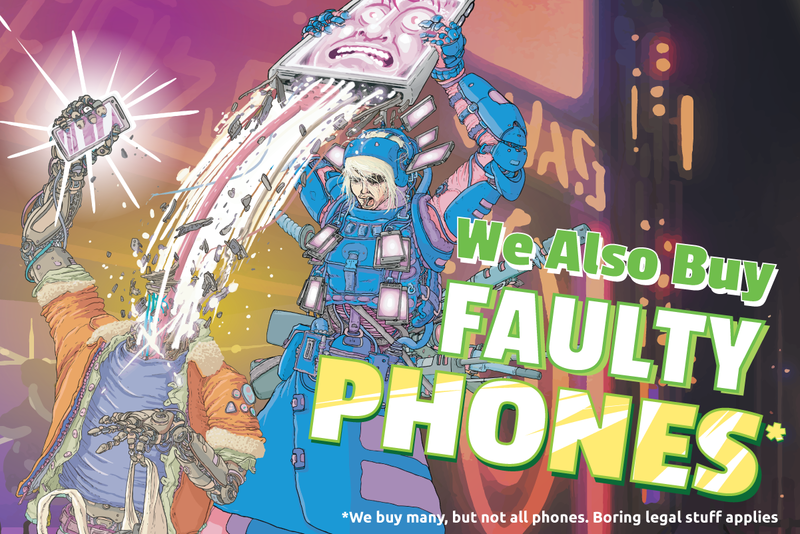 Most of our stores are open today, our staff are waiting with a treasure trove of games and gadgets where you can buy, sell and exchange to your heart’s content. If you're still in the Xmas lull or just can't quite make it down to your local store, check our prices at webuy.com. games and gadgets where you can buy, sell and exchange to your heart’s content. check our prices at webuy.com.